One of Wright's most ingenious ideas was the "light screen," an art-glass window used instead of draperies to filter light and provide privacy. 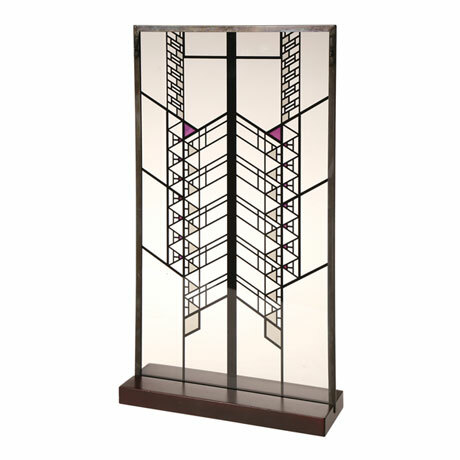 Five light screens adapted from Wright's original designs are reproduced in kiln-fired glass meticulously painted with transparent enamels. 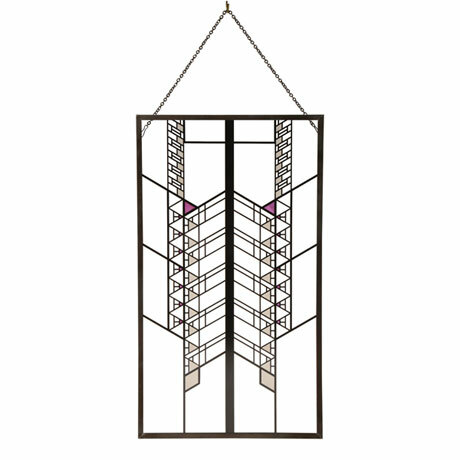 Framed in lead-free zinc, each comes with a hanging chain and wooden display stand.